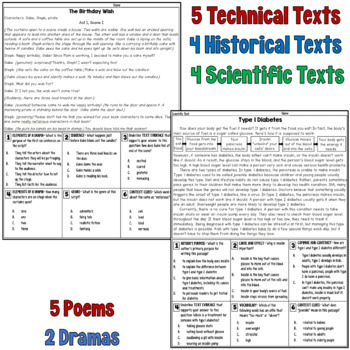 This resource contains 20 reading comprehension passages (5 technical texts, 4 historical texts, 4 scientific texts, 5 poems, and 2 dramas). Beneath each passage, there are six multiple choice comprehension questions. These reading passages can be used in so many ways! 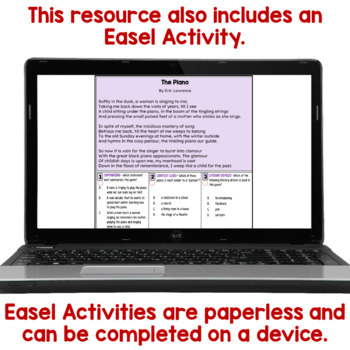 Some options include using them as a test prep activity, as morning work or homework, or as part of a small group lesson. 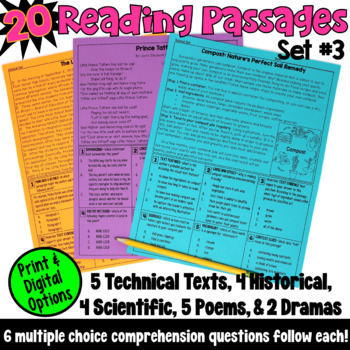 In this set, I chose to focus on technical, scientific, and historical texts since these are stressed in the Common Core State Standards R.I.3.3, R.I.4.3, and R.I.5.3. Technical topics include using a hammer, compost, winter survival, baking homemade bread, and sorting laundry. Historical topics include The Little Rock Nine, the 1906 San Francisco Earthquake, the Piltdown Man hoax, and traffic lights. Scientific texts include chlorine, type 1 diabetes, comets, and monotremes. 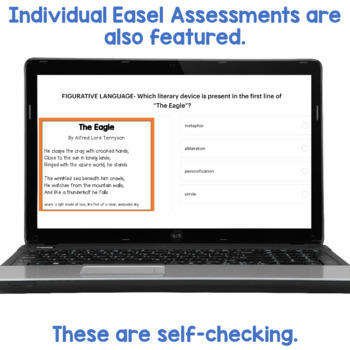 The comprehension questions vary with each passage, which allows your students the opportunity to review several reading skills at once. Don't miss my other sets of reading passages! Click on the links below to check them out!